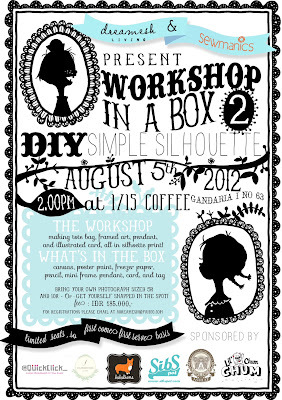 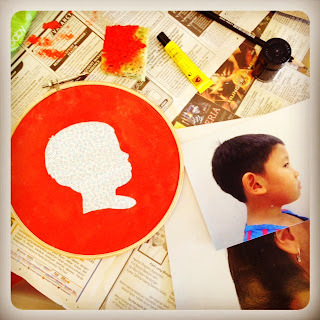 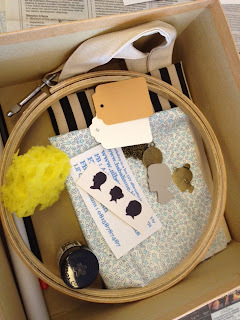 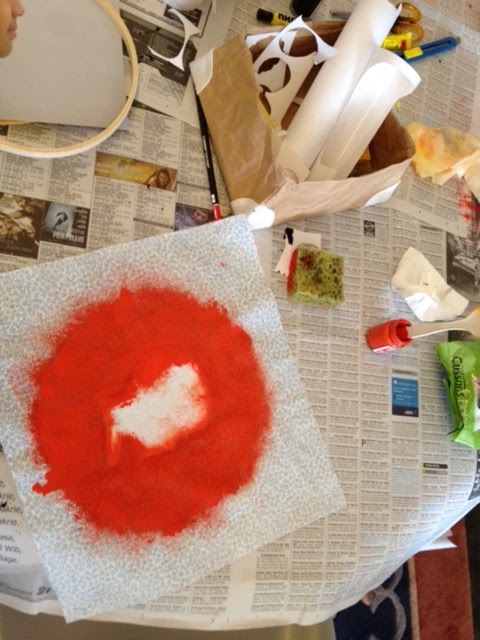 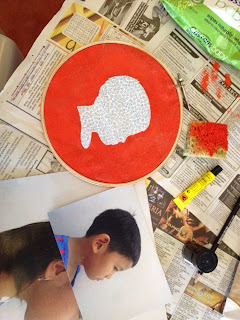 Last Sunday we (Aira & I) joined the Workshop In A Box, a craft workshop held by the ever creative dreamesh and sewmanics. 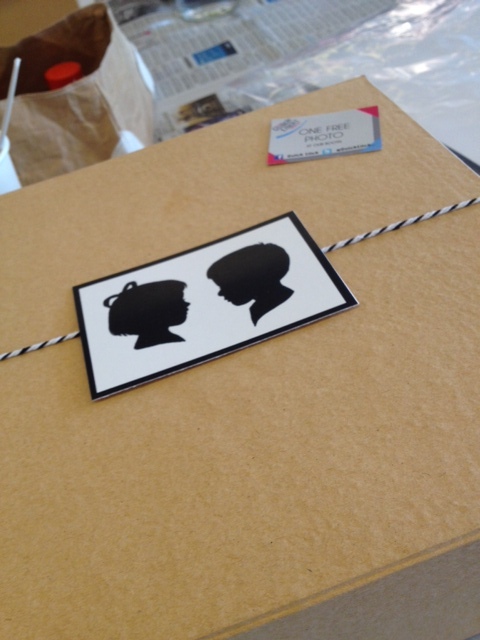 Every box that we given to us was filled with fun stuff to make simple silhouette. 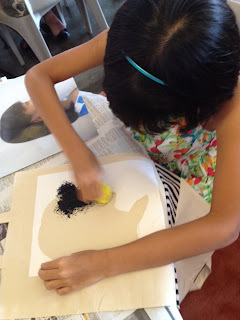 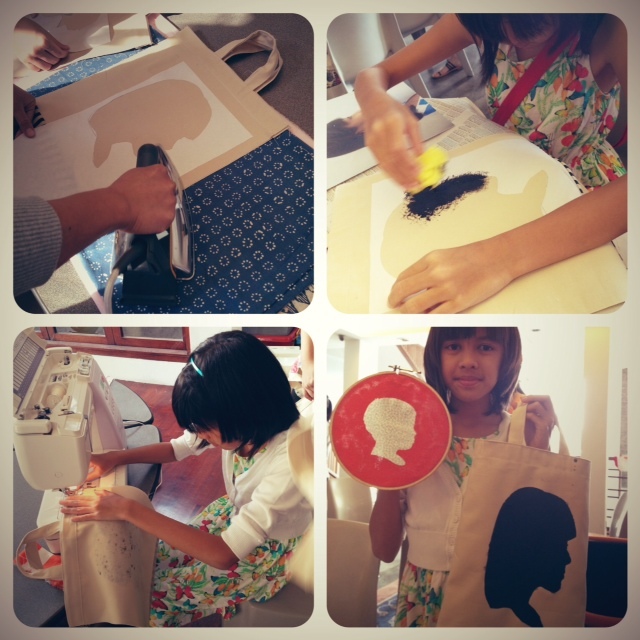 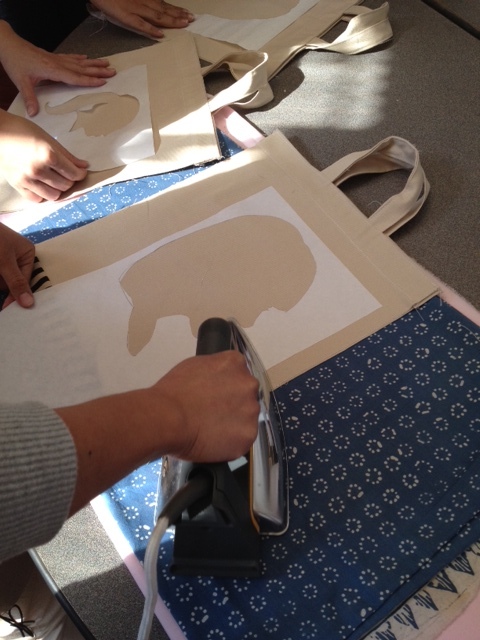 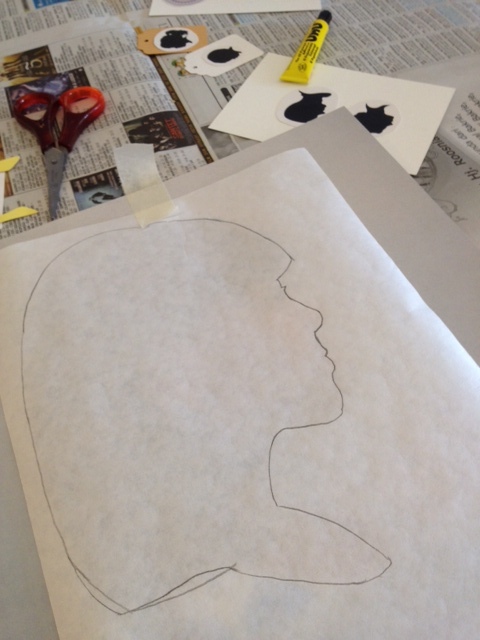 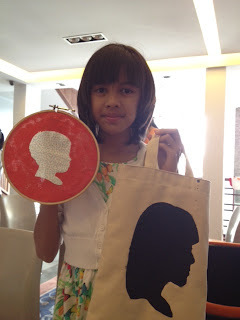 We then made silhouette decorated cards & pendant, printing silhouette using freezer paper and then print it on a tote bag. 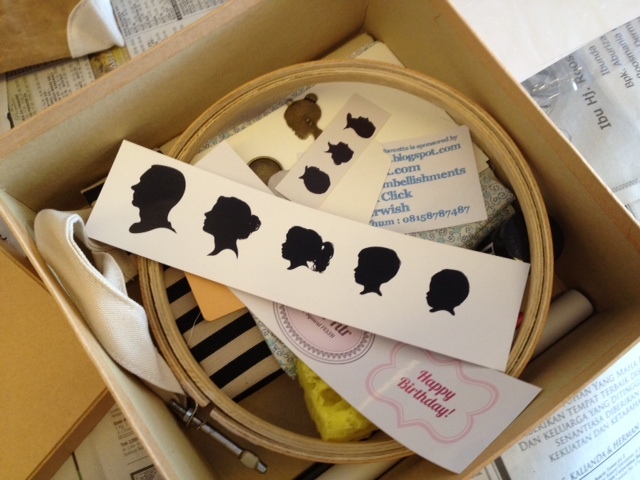 We also printed the silhouette on fabrics and framed it using embroidery hoops, something I've been wanted to learn to do in a while now. 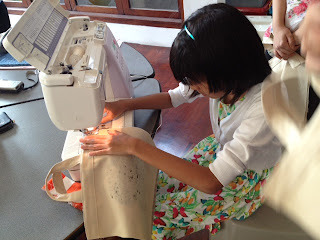 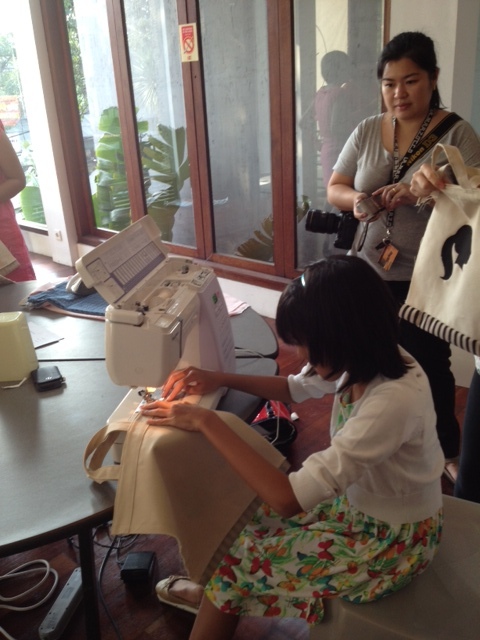 We had so much fun, Aira even got to tried to sew using a real sewing machine for the first time. 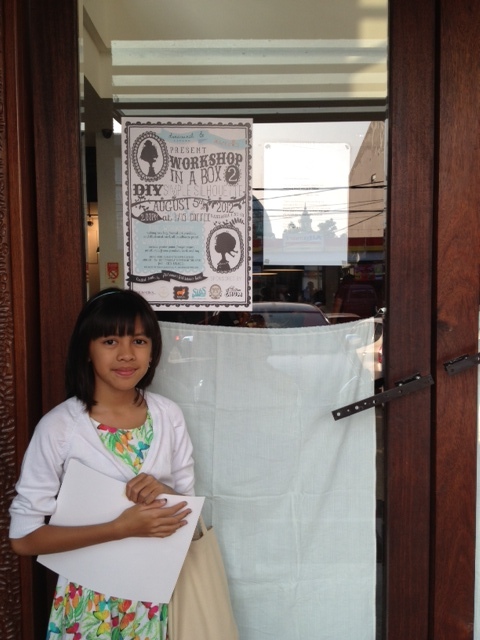 The workshop was held at 1/15 Coffee in Gandaria, and I just love the place. 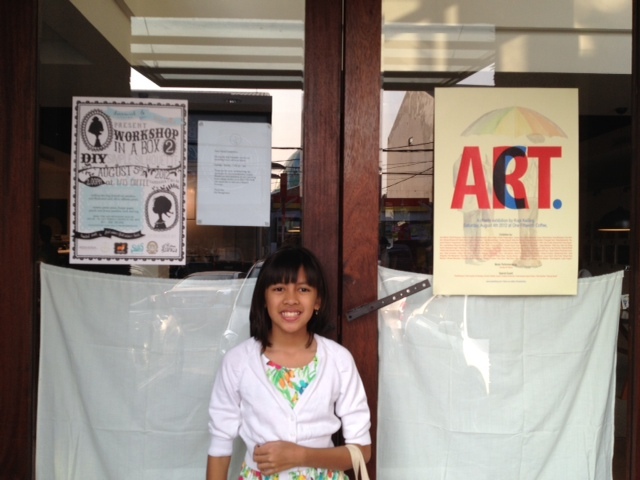 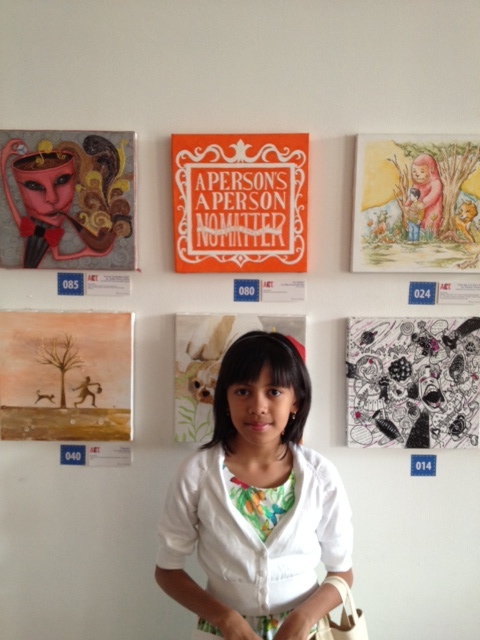 By the way, until August 15th Kopi Keliling is holding a charity exhibition called ACT at 1/15 Coffee. 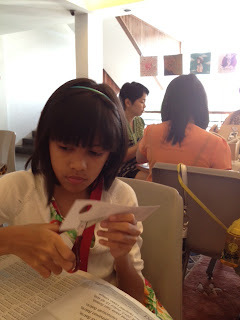 So we look around a bit too while we were there. pic of Aira & me was taken from Quick Click.